There is an inescapable truth that we don’t often hear in all the talk about technological advancement: while the world around us changes, we will be the same creatures we have always been. At least for the foreseeable future, robots are unlikely to outnumber human beings who, to survive, need water and somewhere to go to the toilet. The 4th industrial revolution offers opportunities never seen before: blockchain-based technologies that can improve water use in agriculture; the Internet of Things and artificial intelligence that can scale wastewater solutions; Earth observation and satellite imagery that can track the quality of our ecosystems and foresee disasters. But for all these new developments, the stark and unacceptable reality is that billions of people still live without water and sanitation services. Unaddressed, this growing challenge has the potential to stop human development in its track. Today, more than 2 billion people lack access to safely managed water services. Around 4.5 billion children, women and men live without safely managed sanitation services. As a result, it is estimated that more than 340,000 children die every year from diarrhoeal diseases. UN-Water’s SDG 6 Synthesis Report 2018 on Water and Sanitation shows that countries are facing a range of water issues, such as increasing water scarcity, water-related disasters, inadequate access to safe water and sanitation, and cross-border water management. Water pollution is worsening, and water resource governance structures are weak and fragmented. Freshwater supplies are also under stress from agriculture, industry and population growth. Climate change is leading to more frequent and extreme weather events and causing greater levels of water pollution, water scarcity and flooding. 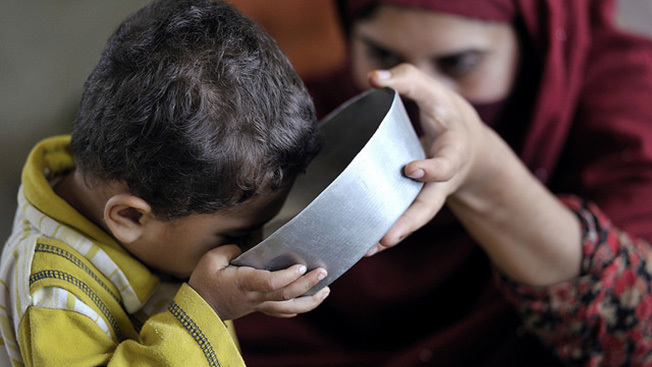 In short, the world is not on track to achieve the Sustainable Development Goal (SDG) 6 on clean water and sanitation. Understand the interdependency of the Sustainable Development Goals: Achieving SDG 6 is essential for making progress on all other SDGs and vice versa. Sustainable management of water and sanitation underpins wider efforts to end poverty and advance sustainable development. Better data and monitoring: Less than half of UN Member States have comparable data available on progress towards SDG 6 targets. Additional and better data that use Earth observations, citizen science and private sector sources are required for national, regional and global monitoring of SDG 6. Adapt to country contexts: Governments must decide how to incorporate SDG 6 targets into national-planning processes, policies and strategies and set their own targets, taking into account local circumstances. Create multi-stakeholder partnerships and strengthen regional integration: SDG 6 provides the ideal platform to share, access and develop solutions to address poverty and sustainable development. Implement integrated water resources management: Integration across water and water-using sectors with intersectoral policymaking structures (across several ministries) and effective transboundary governance frameworks is essential to ensure that limited water resources are shared effectively among many competing demands. Eliminate inequalities: Effective policies and strategies must be developed to ensure no one is left behind. Finance water and sanitation through a new paradigm: The efficiency of existing financial resources and mobilizing additional and innovative forms of domestic and international finance must be increased. Ensure public participation: Community participation in decision-making yields many benefits, but better means of measuring quality and effectiveness of such participation are needed instead of relying on quantity of engagement. Develop capacity: Only limited progress can be made and any investment is at risk without developing the necessary long-term human and institutional capacity. Use smart technologies: Smart technologies could improve all aspects of water resources and water, sanitation and hygiene management. As we intensify our efforts to achieve SDG 6, we should be inspired by the fact that fully and urgently acted upon, SDG 6 will lay the foundations for a healthier, fairer, more stable, equitable and prosperous world.